Creating virtual machines with Azure is a great way of standing up test servers, especially for SharePoint where the installation can be long. The problem with this is that SharePoint is already installed for a farm installation and therefore cannot be installed as a standalone server. As the description provided by Microsoft states, you will need to create another virtual machine for SQL Server and possibly another for a domain controller with Active Directory. 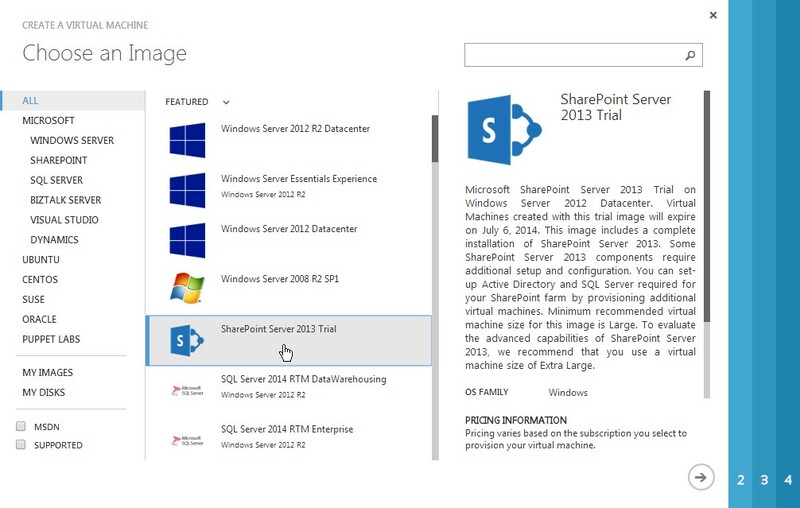 Run the SharePoint Products Configurations Wizard and join the farm you’ve just created. « Saving Managed Metadata Terms changes & and ” Characters! Thankyou very much for ur post. in step 1 , what image you suggested to choose. Is it SP 2013 trial ?